ZarMoney’s Approve to Pay feature provides authorized users with the option to approve bills before they are paid, reducing the odds of a costly mistake and providing an extra layer of security. Perfect for companies that have a complex Accounts Payable process, or one with several employees. Our Pre-Payment option allows you to accept a deposit or early payment on your customer’s order, which you can then apply to any consecutive invoice related to the purchase. 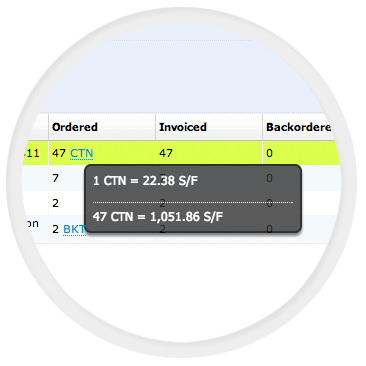 With ZarMoney’s Custom Fields capability, you can track unique information about your customers and their transactions. 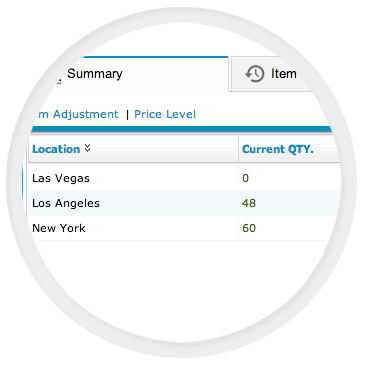 Or, use it to get more detailed information about vendors and costs. 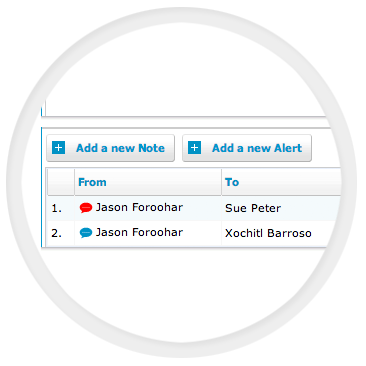 The Notes and Alerts feature allows you to create a collaborative work environment within your company – send alerts to your bookkeeping services, other users, leave notes, or attach files to individual transactions. 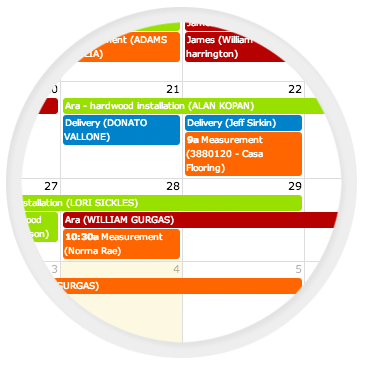 Use your ZarMoney Customer Center Calendar to automatically plan and trigger events related to an order, such as deliveries, phone calls, or service visits. 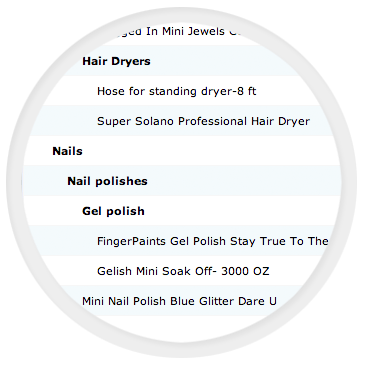 Make every step of your order process transparent with searchable status, color coding, and more to provide better customer service and keep buyers happy. 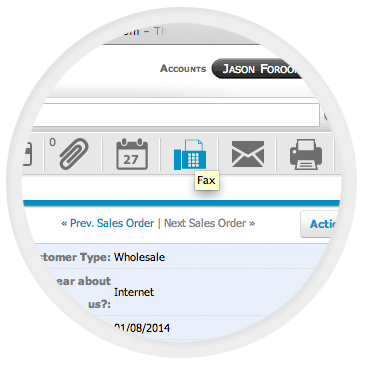 Send customer invoices and vendor purchase orders quickly and conveniently – without using a fax machine or email server. Create documents within ZarMoney and send them right from your screen! 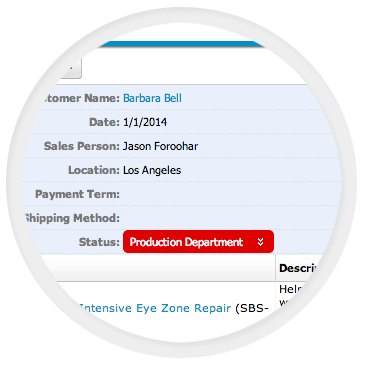 Each ZarMoney user within your company can customize the software. 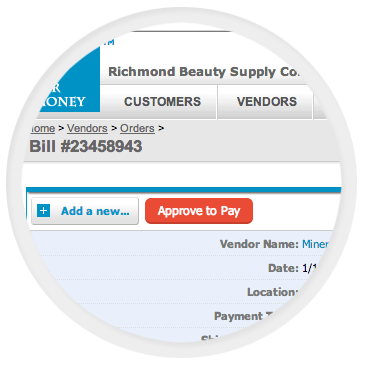 Use your dashboard to create new transactions, track transactions, monitor balances, or get access to specific information on a daily or regular basis. You’re free to run your business whichever way works for you. 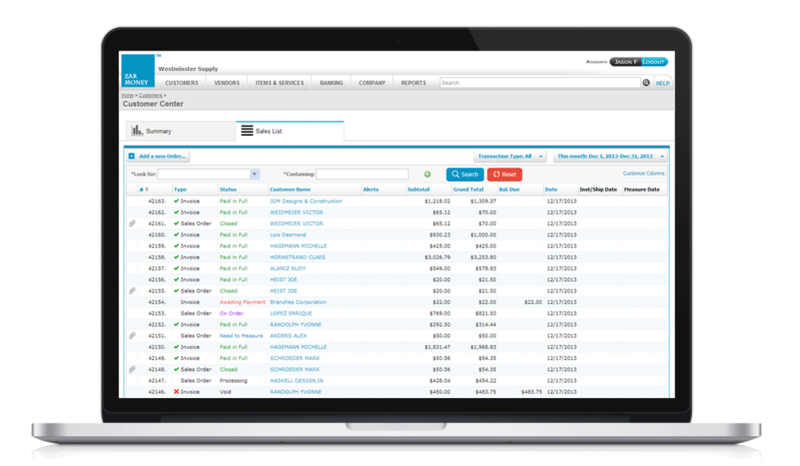 Get control over inventory, even if you have lots of different items and locations (including retail stores, warehouses, or service methods). 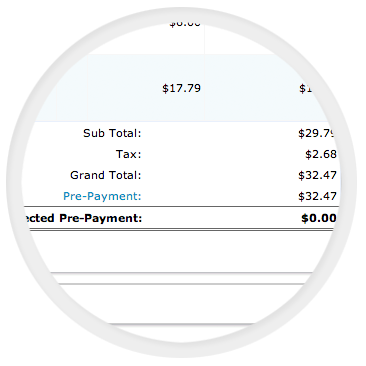 With ZarMoney, you can easily keep track of single items to be purchased, stored, and sold from multiple locations. Inventory counts, as well as sales and purchase histories, can be maintained for separate facilities, and warehouses can be associated with departments, cost centers, or company divisions. This feature is an invaluable time-saver for companies with retail locations, and especially those with multiple locations, distributors, warehouses, and wholesalers. 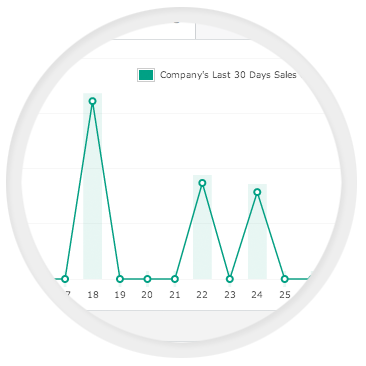 You can even track distribution through service trucks and fulfillment by third parties! Every product or service your company sells can be identified as an item, and ZarMoney’s powerful system lets you categorize all your items based on factors like type or brand. 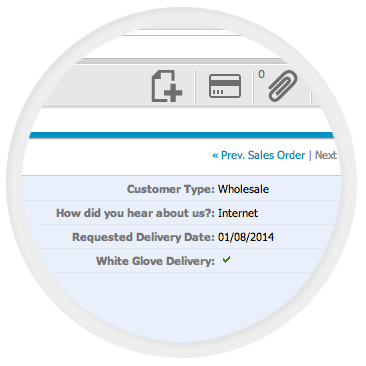 Set them up once, and then enjoy detailed inventory reports that can be customized to meet any business need.